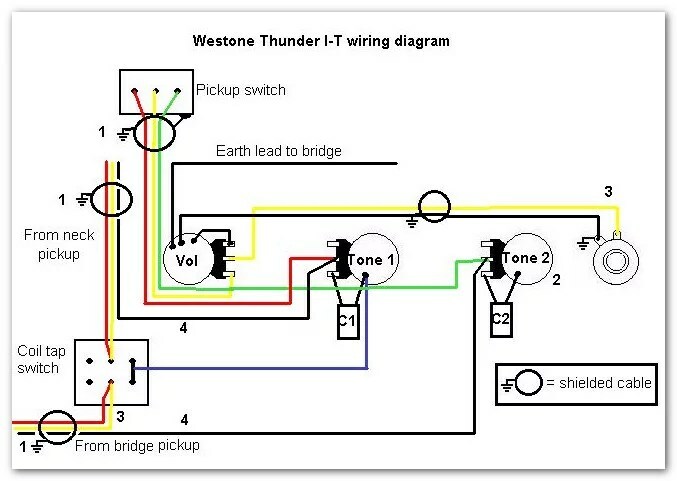 This diagram is taken from a 1984 Thunder I . 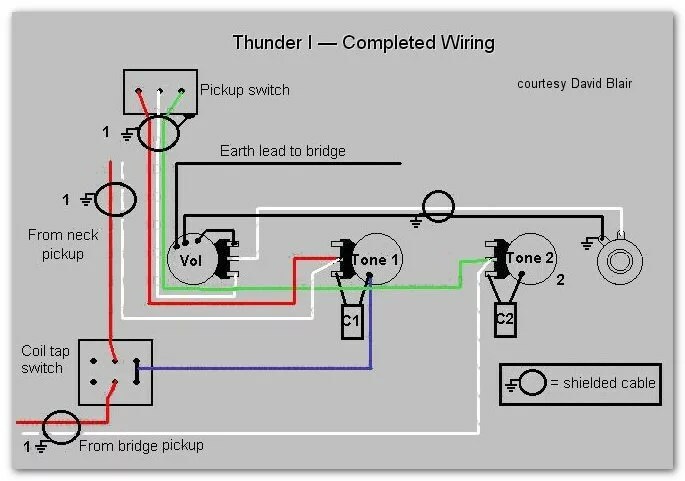 It is essentially the same as the diagram for the Thunder I-T, the only difference being the number of wires from the pickups. 1 – The ground/shield wires from both humbuckers and the pickup selector switch are soldered to the body of the first tone pot.